Hey guys, what’s up? I know… it’s been a while. But, doesn’t absence make the heart grow fonder? From the guy who brought you A Calorie Counter (that would be me), please allow me to introduce… A Workout Routine. What A Calorie Counter does to help you create the perfect diet, A Workout Routine will do to help you create the perfect workout routine. The best place to start would be my completely free and crazy awesome step-by-step guide to creating The Ultimate Weight Training Workout Routine. It’s what will work best for your body, your experience level, your schedule, and your exact fitness goal. Also be sure to subscribe to A Workout Routine via RSS or email, because I plan on writing regularly about all aspects of weight training, cardio, losing fat, building muscle, increasing strength, and everything in between. Basically, if it’s workout related, A Workout Routine will cover it. If it’s diet and nutrition related, A Calorie Counter will cover it. Either way, you’re covered. Now why are you still reading this? Go check out A Workout Routine and my guide to creating The Ultimate Weight Training Workout Routine. 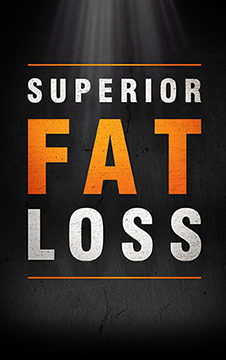 I have been very impressed with the information I have read about losing fat/gaining muscle, etc. on this website. I am puzzled, though, as I cannot find out who is writing this information and what credentials that person has. Is there any way to get that information?